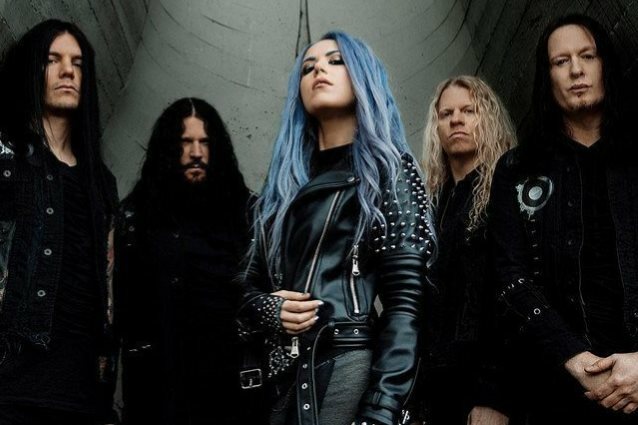 "First Day In Hell", a brand new song from ARCH ENEMY, can be streamed below. 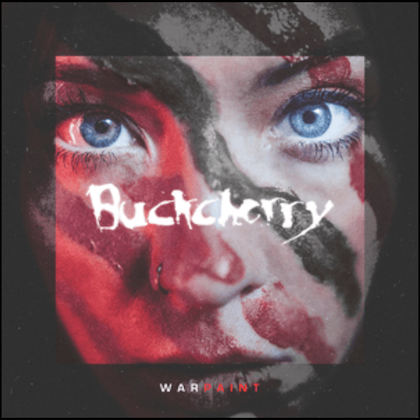 The track is taken from the band's latest album, "Will To Power", which will be released on September 8 via Century Media. Co-produced by guitarist and band leader Michael Amott and drummer Daniel Erlandsson, "Will To Power" was mixed and mastered by longtime collaborator and friend Jens Bogren (OPETH, AT THE GATES, DIMMU BORGIR). 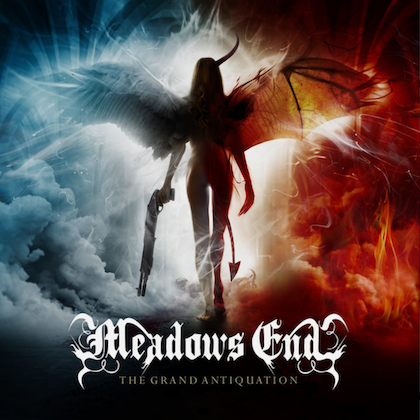 The album's captivating cover artwork was designed by Alex Reisfar. 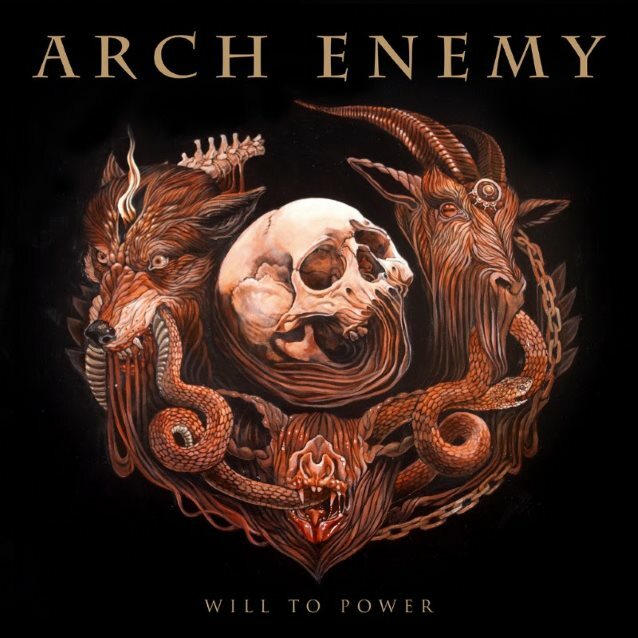 "Will To Power" marks the second ARCH ENEMY album since the departure of longtime singer Angela Gossow and addition of singer Alissa White-Gluz. It is also the first ARCH ENEMY disc to feature former NEVERMORE guitarist Jeff Loomis, who joined the band in late 2014. Speaking about the songwriting process for "Will To Power", Michael told TotalRock: "The writing never really stops; I'm always fiddling around on the guitar. I come up with a little idea, record it and save it. And then piece it all together later on. "The actual real writing of the new album, 'Will To Power', started about a year and a half ago," he continued. "We started seriously putting together demos and so forth. So it was a fun process. When you've not recorded an album for two and a half [or] three years, it's really fun to get into that creative mindset again and enter the studio. "People always ask us: 'Do you prefer being onstage playing shows, or do you prefer being in the studio?' But we're greedy — we want to do both, for the balance. We need to write new songs, and then it's a pleasure to go out and play them live onstage as well, of course." Asked if White-Gluz and Loomis, were involved in the writing for "Will To Power", Amott said: "Yeah, especially Alissa. She was heavily involved in writing lyrics for the album. Of course, singing on the album. [Laughs] Also, Daniel, our drummer, is a big collaborator in the music as well."